We here at Yorkshire Laser and Fabrication believe in the ethos that no job is too big and that no job is too small. We have over 17 years of experience in sheet metal fabrication and pride ourselves in having a broad portfolio of local and national clients. Our commercial clients often require large orders of identical sheets of metal for projects, such as roofing and reinforcing walls. Whilst our individual, residential clients will often require a single, bespoke piece of metalwork to meet their particular needs. Due to the range of our clients, we have invested heavily over the years in the necessary software and machinery that is required to undertake all manner of different projects. As such, our investments and experience in all areas of sheet metal fabrication means that we don’t simply specialise in one particular area of sheet metal manufacturing, we specialise in every area of sheet metal fabrication. We believe that the key to successful end product is to perfect the initial design process. To this end, we are able to offer all of our clients the most up-to-date design software and our team have years of experience in using CAD and CAM technology. Our use of CAD (Computer Aided Design) technology enables us to initially produce a prototype of your requested part or parts on screen and provide you with a realistic impression on how your end product will look before the production process begins. For the next stage of our production process we can offer the use of CAM (Computer Aided Manufacture) technology. This greatly assists with all types of sheet metal fabrication due to the accuracy afforded by CAM software and our machinery. We widely favour the use of CNC (Computer Number Controlled) folding and CNC punching for the production of sheet metal enclosures. Indeed, CNC folding and punching is a particularly handy skillset that we readily utilise in the production of bespoke sheet metal enclosures, brackets and metal components. We are able to offer our customers design and production solutions thanks to our use of CNC software and hardware, which allows sheet metal to be folded and punched at various specific points with an incredible level of accuracy. 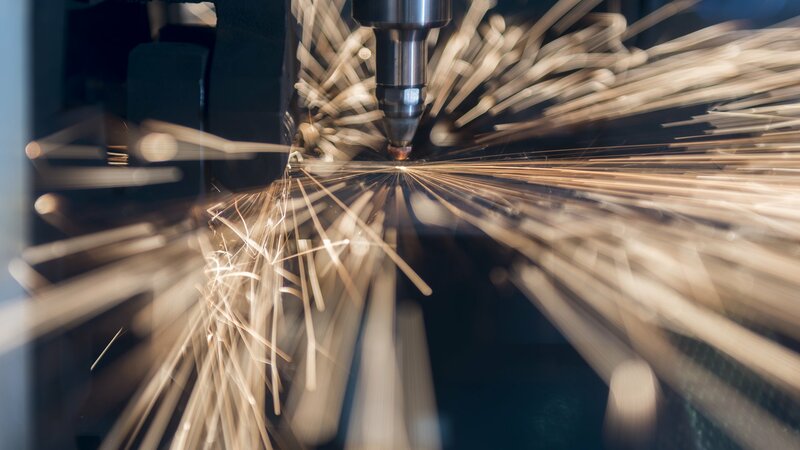 Our laser cutting facilities are some of the most powerful in the region and, again, our laser technology serves us well for both large and small jobs. Our Bystronic Bystar 4.4-Kilowatt Resonator (gulp!) allows us to process large pieces of sheet metal for commercial projects at high speeds. Moreover, the industrial strength of this particular piece of hardware means that it can cut through all kinds of different materials such as mild steel, stainless steel, galvanised steel and Zintec steel. In addition to the large-scale projects that this powerful machine is capable of processing, it also serves us well in carrying out more bespoke and personal design projects. The accuracy of laser cutting means that intricate designs and markings can be etched into the material during the sheet metal fabrication process – perfect for if you require a more bespoke and personal piece of metal work. Power and delicateness – all in the same machine! Our experience, knowledge, skillset and technology allow us to offer you a range of solutions for your project and adapt to your individual requirements. We can happily advise you on all areas of design, revisions and manufacturing options and pride ourselves on our customers been completely happy with their finish products. If you need any further information, then please feel free to contact us today and we will gladly help you with any questions you may have.